Fox News apologizes for accidentally airing obituary graphic for Supreme Court Justice Ruth Bader Ginsburg, suggesting she had died. Fox News apologized after airing a graphic implying that Supreme Court Justice Ruth Bader Ginsburg had died. 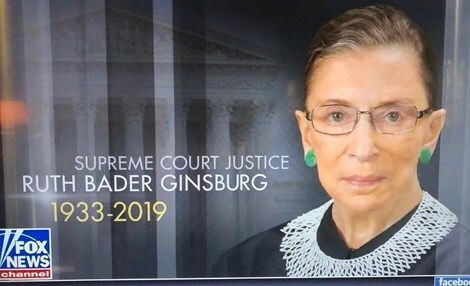 The graphic appeared on screen on Monday morning showed a portrait of Ginsburg in front of the Supreme Court building in Washington D.C. with the words “Supreme Court Justice Ruth Bader Ginsburg 1933-2019. It flashed on the screen for about two seconds. Ginsburg is working from home after missing oral arguments for the first time in her 25 years on the bench following a Dec. 21 operation to remove cancer from her lungs. 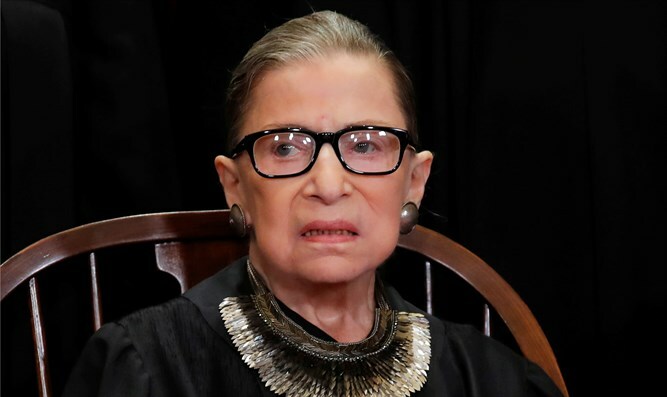 Ginsburg, 85, has had two other bouts of cancer. Following the surgery last month, she was declared cancer-free. She leads the court’s liberal minority and in 2018 vowed to serve another five years, past a second term for President Donald Trump if he is re-elected.